Sketch art of the South American Bird’s Paradise diorama. The diorama took a week to develop. 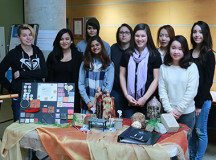 They began moving tables, chairs, and setting up stands near the Second Cup in SCAET wing on Friday, Jan. 15. It wasn’t long until people gathered to see what all the fuss was about. 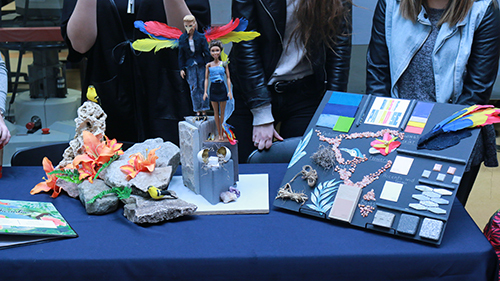 It was a showcase hosted by Sheridan’s Visual Merchandising Arts program, where students of the program put up miniature designs for display. 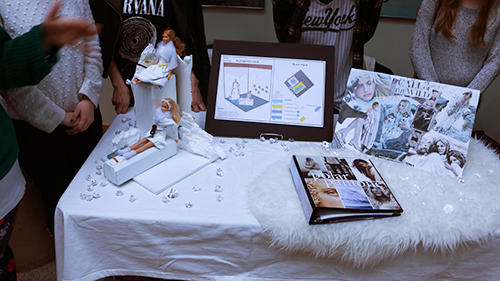 Students spent a week after the holidays brainstorming ideas for their models, coming to the school to show off their work. This intense, week-long period of design brainstorming is what is known as a charrette. “What we do is we cancel most of their classes for the first week of school with the exception of their [electives] and so forth, and they actually develop the design of what we’re calling the vignette,” said Visual Arts professor Diane Spiridoulias. “The design charrette came about last year because we felt like we wanted to have a design really early on that they could commit to and the only way we thought we could do that was to take that first week of classes and do a really intensive week of brainstorming and designing, fabricating, and then kind of get the main hefty part of the design process out of the way,” said Spiridoulias. A main theme of the year-end show is how various countries would cope post-apocalypse, from Europe and its café culture, to South America and its Birds of Paradise. The idea was decided upon by students, Spiridoulias said. “It ended off starting as tribal, and I would say about 60 per cent of the fashion editorials that were produced all referenced a post-apocalyptic future” said Spiridoulias. 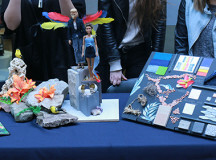 The larger-scale models will be shown at the actual year-end show, which will be held at the Only One Gallery in Toronto, where students will show their finished, up-to-scale designs, and network with industry guests. “This is probably the biggest thing we’ll work on throughout the whole program,” said second-year Visual Arts student Keira Reichl. “And I think everyone’s really excited for each other, too,” said Reichl. “We all want each other to do well because the whole show in general needs to look good, like you can’t just have one vignette look good and the rest [don’t] look as great because you’re all representing the show. Everybody’s a part of it. 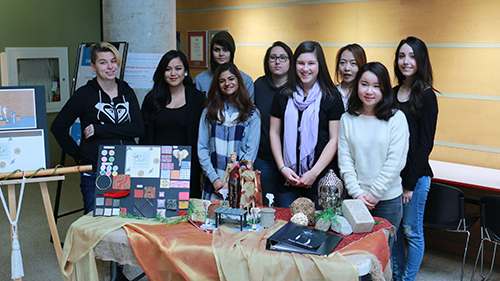 Stacey Torok, Angela Valdez, Victoria Rolfe, Chelsea Kumar, Lisa Zapotoczny, Michelle Garrow, Mya Kim, Cimy Chen and Melanie Berube standing over the Asian display, their creation. 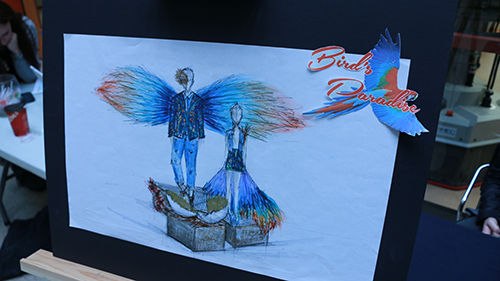 The South American Bird's Paradise display, depicting a couple wearing avian-inspired fashion standing on a cliff. There's also a board displaying what types of materials were used. This display depicts a couple stranded in the Arctic wild. 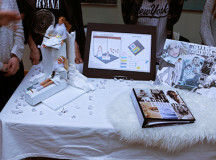 An illustration depicting the different parts of the diorama and a collage of arctic style fashion is also a part of the display. Added by markelgie on January 18, 2016.